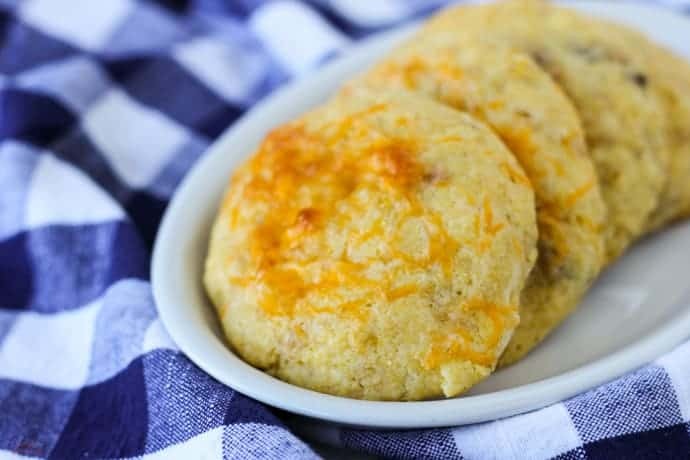 A perfect side dish for any BBQ, pulled pork cornbread cookies are a delicious blend of sweet and savory. They taste great with chili! 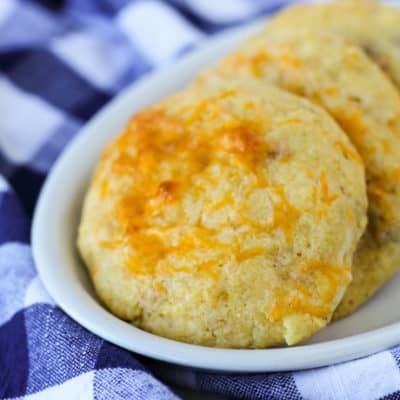 I started doing some research, and I discovered there are already a few recipes out there for cornbread cookies! However, they’re all exactly the same recipe. I don’t know if Valerie Bertinelli’s recipe came first, or if her cookies were just from the All Recipes website, but every recipe I read was the same. I didn’t want to go the sweet and spicy route using peppers and Tajin seasoning like that recipe. I needed something that would pair well with the BBQ flavors in my pulled pork. 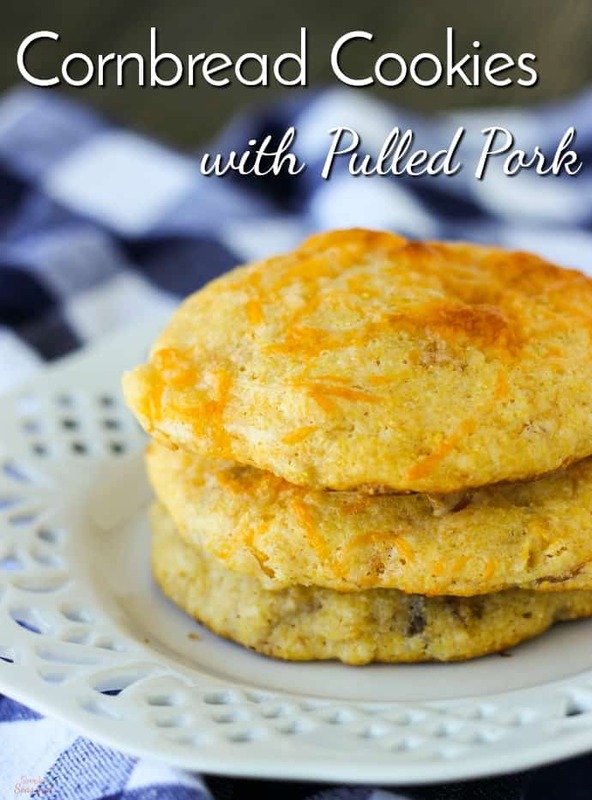 So I played around with a few ingredients and created these Pulled Pork Cornbread Cookies. In a medium bowl, stir the first 6 ingredients until well mixed. Fold in the creamed corn and pulled pork until it's evenly distributed through the batter. Scoop 1/4 cup of batter onto the prepared baking sheet. Leave at least an inch of space between cookies. If desired, sprinkle cheese on top of each cookie. Bake for 10 minutes. Allow to cool for 1-2 minutes on the sheet and serve warm for best flavor. While best warm, the cookies still taste great at room temperature. 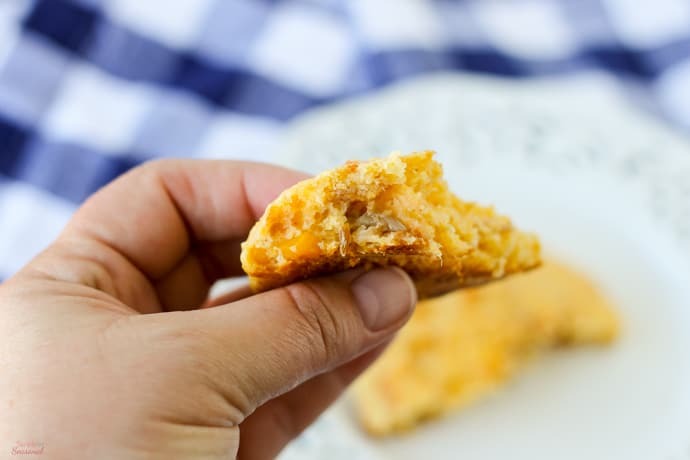 Serve with chili instead of traditional cornbread for a delicious treat. Pulled pork and pieces of corn may not be what you expect to bite into when you eat a cookie, but trust me, this works! I served them along with our Crockpot Express Pulled Pork the other day and they were great. If you like your cornbread on the sweeter side, try drizzling the tops with honey while they are still warm from the oven. So good!